This image is the result of a collaborative effort between Dave Jurasevich at the Mount Wilson Observatory in California and Gilles Cohen at Golfe Juan, France on the Mediterranean Sea's Cote d'Azur. 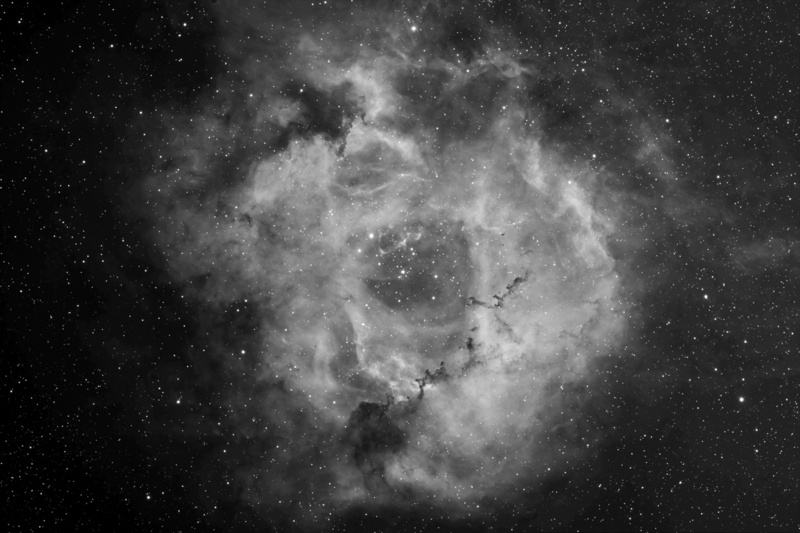 Both amateur astronomers used Astro-Physics refractors to capture the fine detail hidden within the Rosette Nebula in this combined 7 hour 15 minute total exposure. Both imaging sites had excellent seeing conditions (sub arc-second) at the time the data was collected. Limiting magnitude at the Golfe Juan site was about 3.5 while the Mount Wilson site was approximately 4.5.